As an enthused and insightful team leader, she possesses the ability to promote growth and development. Working as a hospital project director and executive director of Connect the Dots, Ms. Gallot-Reeves displays her versatility in handling different kinds of work. She graduated from the University of Maine with a Bachelor of Science in behavior and psychology. 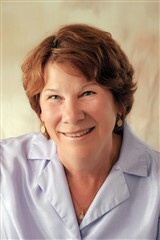 She has nursing experience and a Master of Science in health management from New England College. Ms. Gallot-Reeves holds certifications in change and project management. In addition to her work in health care project management, Ms. Gallot-Reeves is an accomplished writer. She published the book ‘Between Shifts’ in 2014. This poetry book is a collection of her experiences as a nurse and artist throughout a three-decade period. She intends on continuing publishing material. Additionally, she is a member of The International Women’s Leadership Association and a Distinguished Delegate honored for continued contribution to the field of project management.